This unique “exploded” model shows how bones fit together. The life-size skull has been carefully disarticulated and mounted in an “exploded” position on a clear plastic support to retain the bones’ spatial relationships. 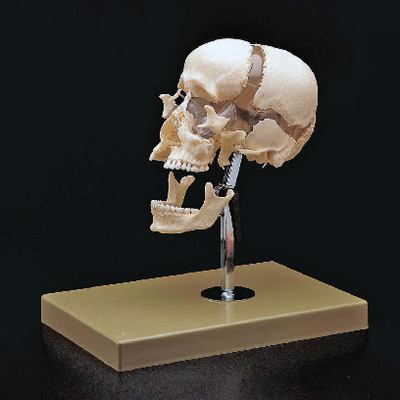 Mounted on a stand with base, the model can be tilted back, so students can view the inside of the skull.